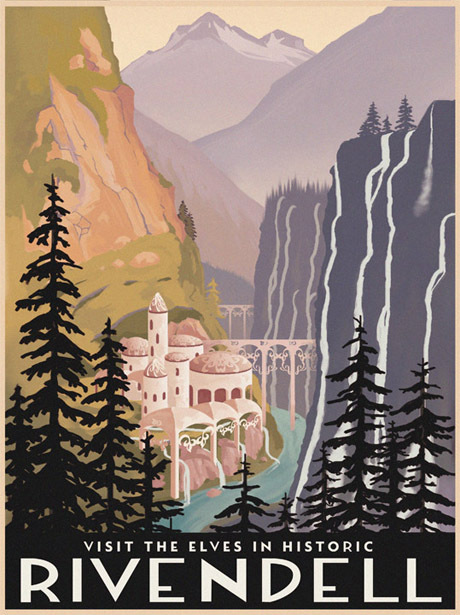 This is the third installment in my short series on Tolkien Travel Posters and I am very happy to welcome artist Steve Thomas joining the fold, following up on Nana Leonti and Austin Purser. I am continously amazed at what creativity the works of J.R.R. Tolkien have inspired and continue to inspire. So, without further ado, I give you Steve. 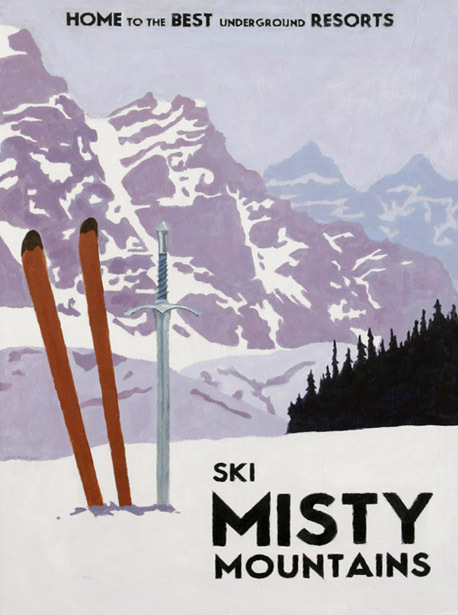 I really enjoy the travel posters from the early 20th century and I wanted to try my hand at them, but with a pop-culture twist. I’m definitely a fan of Tolkien as well as fantasy and sci fi. Especially the retro-futuristic sci fi from the mid 20th century pulp comics and novels. Definitely. I have a laundry list of places and subjects I’d like to tackle. I’d rather not admit to them all here, but would really like to do a few more places in the Tolkien realm. If you want to know more about Steven do hop on over to his website at stevethomasart.com. Or follow him on Twitter as well as on Facebook. [su_box title=”Artist bio” style=”glass” radius=”8″]Before becoming a freelance illustrator/graphic artist, Steve worked for newspapers creating graphics and illustrations for 14 years. He worked for every section of the paper from Life and Entertainment to Sports. Now he is trying to come up with new and interesting ideas for illustrations. Pictures used by kind permission.